Only private excursion for a day. Enjoy a free visit of the cathedral of Reims, and guided tours of the cellars of Grandes Maisons de Champagne followed by a tasting. Lunch at Epernay. Visit of Independent Winegrowers and discovery countryside & vineyard. Enjoy an unforgettable day in the Loire Valley with a guide. You will discover the magical and romantic world of the great Loire Valley Castles of Château de Chambord at the Château de Chenonceau, and why not visit a domain with tasting Loire wines. 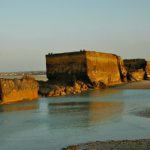 Enjoy an experienced guide to discover the history of the Allied Landings during the Second World War. Continue through the Caen Memorial and the largest landing beaches: Omaha Beach, Pointe du Hoc and the American Cemetery. Unusual visits to discover the most eccentric and original places of Paris. 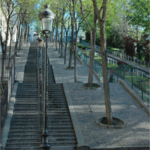 Live an atypical stay or you will discover with a fresh look these mythical places and Parisian monuments. 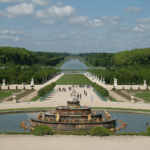 Enjoy a trip to Versailles for a guided tour of the entire Domaine de Versailles. Accompanied by a professional guide, you will visit the beautiful gardens and the large apartments of the castle and the majestic Hall of Mirrors. 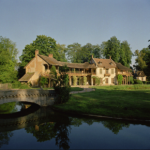 As well as the great and the small Trianon as well and the hamlet of Marie Antoinette.